Nothing expresses cheer and well wishes more than fresh, vibrant tulips. 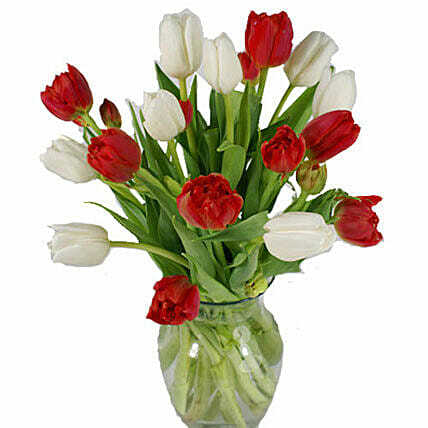 Send bright greetings to your loved ones with this simple, elegant bouquet of Red and White Tulips. Tulips are the perfect gift for everyone!